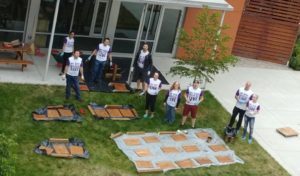 AutismBC was thrilled to welcome volunteers from Telus Day of Giving to the courtyard outside the AutismBC Lending Library last week for their help with our upcoming Sensory StoryWalk® Project. A StoryWalk® is a series of wooden posts, each containing pages from a story and placed along a path or trail. Anyone using the trail can appreciate the story at their own pace while getting some fresh air and enjoying the outdoors! The Sensory StoryWalk® project from AutismBC and Telus Day of Giving will include an interactive reading prompt or sensory element on each post to draw connections between the story and the scenery. The StoryWalk® Project was created by Anne Ferguson of Montpelier, VT and developed in collaboration the Kellogg Hubbard Library. 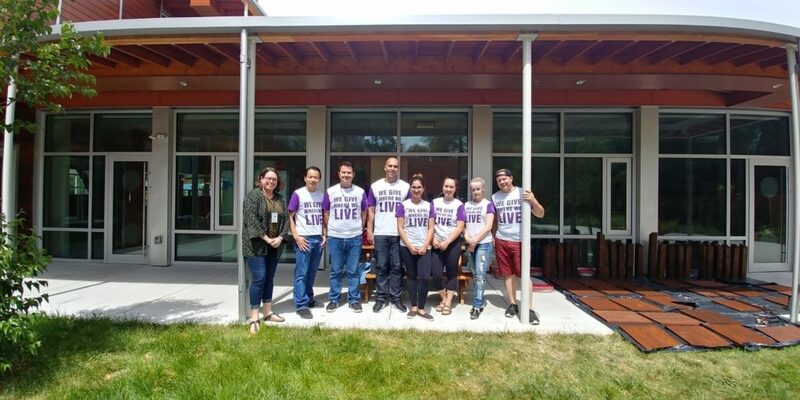 AutismBC is grateful to the Telus Team for choosing to support this project through their 2018 Telus Day of Giving. 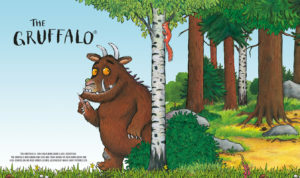 For more information about our first walk featuring Julia Donaldson and Axel Scheffler’s modern classic, The Gruffalo, follow AutismBC on Facebook! We will also send an email to all members once the location is confirmed. To get a FREE membership to AutismBC click here.